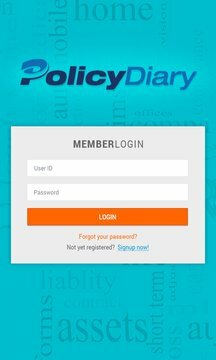 Policydiary is a notification app, in which users have to register with their email id, mobile number, address and date of birth to get insurance policy expire notifications. 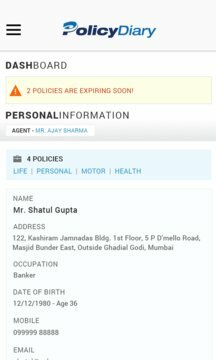 The users can add individual and family members policy details. The notification will be in the form of email, SMS and push notifications. The purpose of storing email id and mobile number is to send reminders to the users on their expiring insurance policies. Date of Birth is an important data as it is part of all the insurance policies.